Spring 2017 Handbag Trends You Cannot Miss! Spring is all about colours, prints and innovative styles, and no wonder, fashion divas look ahead to the season for new inspiration. If you missed the spring 2017 collections that were launched some time back, fret not, as we are going to cover the best handbags for the season right here. Apart from the best trends, we have some amazing ideas for styling, which will help in making your bucket list. At the end of the day, girls can never stop shopping for shoes and handbags. You can get some amazing collection online at easy prices. 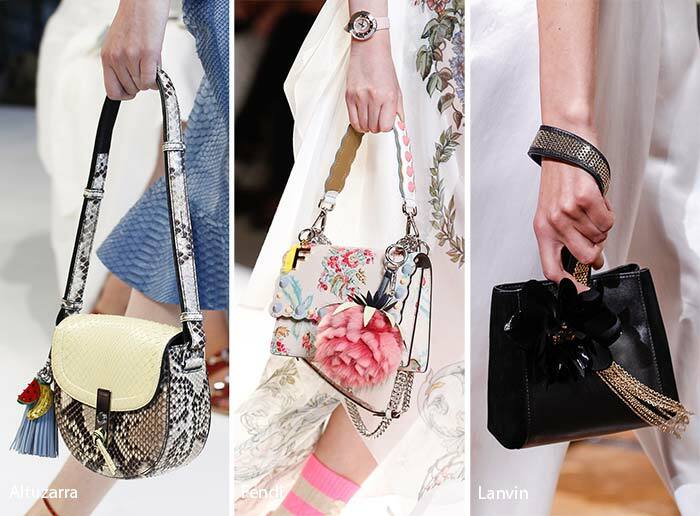 Tiny for my hands: A lot of top fashion shows had Hermes, Valentino, Dries Van Noten, Coach, and Fendi had the classic tiny purse in a variety of prints and colours. These are handbags that make an instant statement but aren't necessarily functional. Probably, you can just keep your favourite lipstick and a phone – that’s how small these were. Instead of calling them handbags, we should rather call them purses with a sling. You can buy one for all kinds of summer dresses or keep one reserved for the evening outings. Big for the girl: Spring 2017 was a lot about extremes. 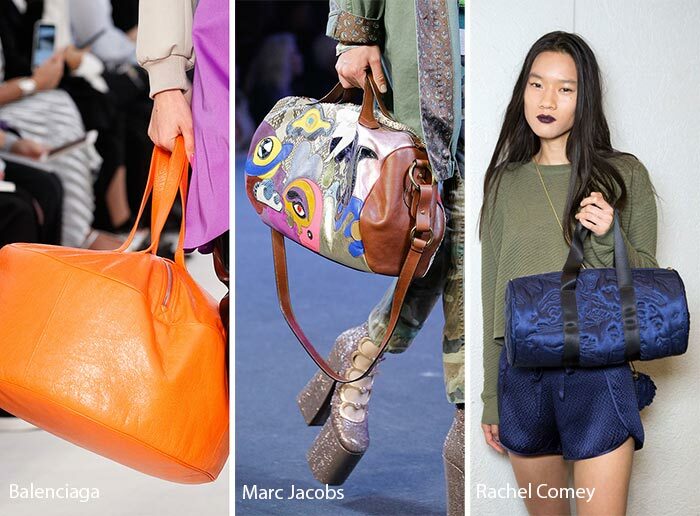 If the first trend was all about small and minute bags, the second trend is all about big bags. The ones that can be almost compared to duffle bags! Many women like to carry their whole world with them, right from the journal to the foundation, concealer, and phone, they love the idea of having it all. These are bags that demand instant attention, and honestly, these are quite functional, as well. Some of the designers and shows you need to check for this one include Balenciaga, Michael Kors, Gucci, and Marc Jacobs. Attached for style: Many top designers, including Fendi and Rebecca Minkoff, added extra attachments to their purses, handbags, and sling bags for extra glamour. Basically, if you have a handbag that’s looking too boring, you can add a simple fur ball to the sling side and make it more appealing. The good thing is you can mix and match a lot of attachments for creating a new handbag look each time. Also, you don’t need to rely on the top designers for this trend, because there are easy attachments available on online stores. However, if you are looking for more options, Altuzarra, Moschino, Coach and Versus Versace are some of the names to check for. We would also like to mention about the amazing animal fur and prints that made a serious impact at many major shoes. Probably, you can get your leopard print bag in action again! Fashion is all about getting inspired, and we hope you found this post helpful! Until we meet next time again for some fashion talk, keep it in style! Author: Suzy Walsh is the chief editor and writer for budding fashion portal – The House of Elegance Fashion. Known for her incredible sense of styling, she is often invited by other portals for contributing to their glamour and fashion section. That is such a cute and fun article. Wish I could do that to my blog. You will like to see more fun from here. Thanks hunnie :) Yea love the pink one too after the black. I'm so happy that winter is over!These bags look beautiful. Thanks for sharing and have a lovely week ahead! Oh how I love spring fashion. Defintately going to add a few bright floral bags to my bag collection.